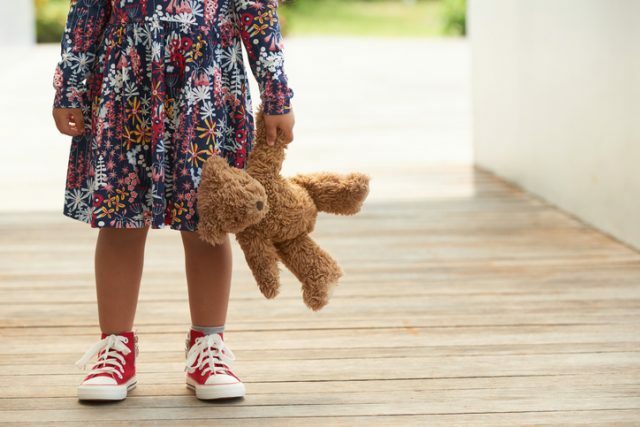 Kids can become unbelievably attached to their beloved stuffed animal friends. 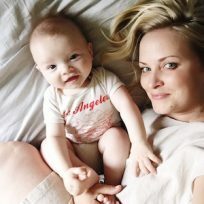 And that attachment usually involves dragging them everywhere they go, cuddling them at night, eating with them, spending sick days with them, and maybe even taking them to school or daycare. This means that from time to time, those precious stuffed pals need a bath because they are basically the dirtiest company your kids will ever keep. My kid’s preschool teacher had a routine of sending a class stuffed animal home with one student each weekend. 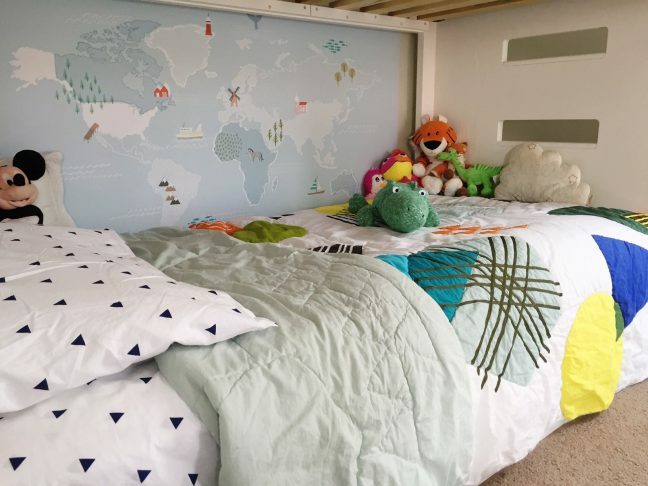 When it came to my house during cold and flu season I didn’t even let my kid bring it into the house until it had received a thorough scrubbing. So if you’ve ever had a really dirty stuffed animal in your house—one that has been vomited on, gone into the bathroom with your child, or been sent home from school—then you have probably also faced the challenge of how to wash stuffed animals without ruining them. After learning through trial and error (unfortunately, one fuzzy friend lost a precious eye in the process), I have finally figured out how to wash stuffed animals in the washing machine. Does your kid’s plush BFF need a bath? 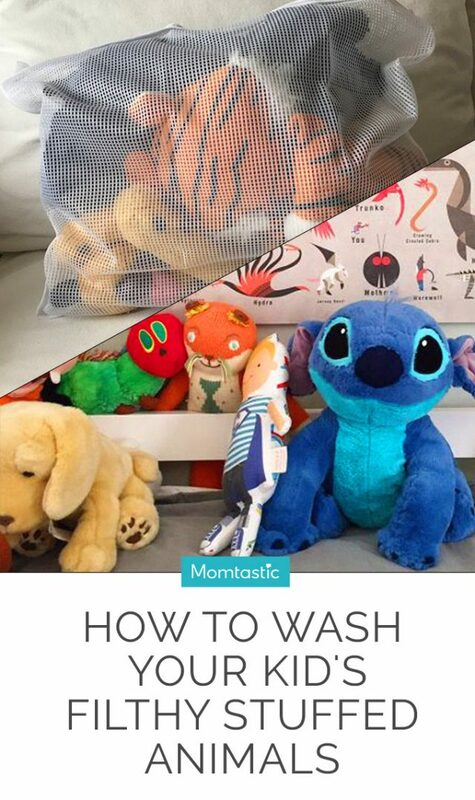 Follow these simple steps below to learn how to wash stuffed animals. Use a mild detergent such as Babyganics or a little Borax (it is all-natural and is ideal for washing clothes, pans, tubs, and more!) in your machine. Put it in the drum first before anything else. Do NOT use fabric softener. Put your washing machine on its gentlest cycle. You can pad the drum of your washer, with a couple of towels or small blankets to make for an even gentler wash. Just put them in after you add your detergent. Once your gentle cycle wash is done, remove stuffed animals from laundry bag and air dry. 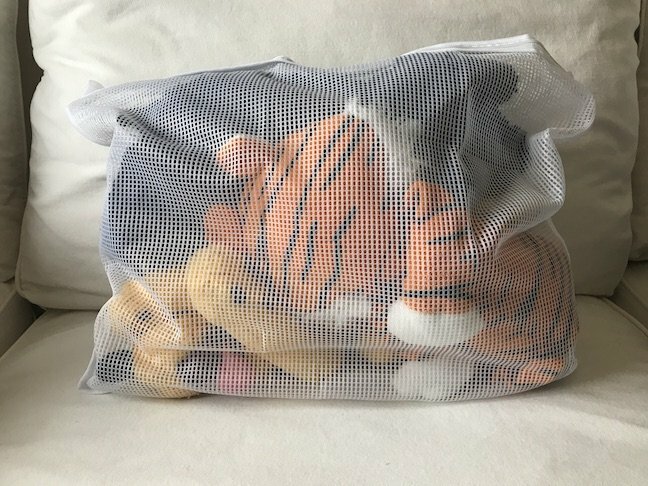 If you need the stuffed animal ASAP, you can dry it in the mesh bag on the low heat setting of your dryer. A note: if your stuffed animal is really old, or especially delicate, spot cleaning and hand washing is likely your best method. Just use lukewarm water, a super gentle laundry detergent—or even baby bath soap—and air dry.